If you have been diagnosed with fatty liver disease or even suspect that you may have it then using apple cider vinegar as a way to boost your livers functionality, in my opinion, is a must. 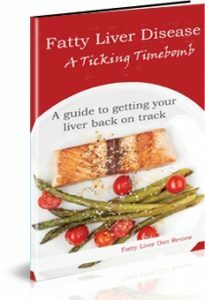 One of the most common questions asked is “does apple cider vinegar help with a fatty liver?” You already know how the liver is affected when it has excess fat stored in it (if not you can read here) but what you may not know is how vinegar in particular (ACV) Apple Cider Vinegar can flush the liver removing many of the bad toxins. There are many natural remedies to help boost the responsiveness of your internal organs and research shows that incorporating ACV into your day is one of the best ways to help get rid of the fat accumulated in and around the liver and it also assists with weight loss. 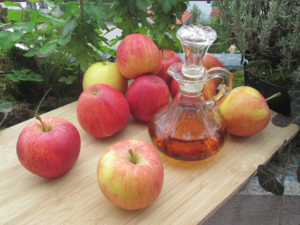 How Can Apple Cider Vinegar Help With A Fatty Liver? First and most importantly it Reduces Blood Sugars Levels. It’s very important to try and regulate blood sugar levels because if they are to high for a long period of time you can damage blood vessels and nerves and are more susceptible to getting diabetes.Therefore regulating these levels in a natural way has to be a prime benefit. It also Lowers Insulin Levels. For some time ACV has been credited with controlling insulin and blood sugar spikes after eating. This mainly occurs when having a high carbohydrate meal. Taking a couple of tablespoons diluted in water before a meal can lower insulin levels and leave you feeling full after the meal. The reason for this is that the vinegar has the ability to delay stomach emptying which in turn leads to a slower absorption of sugar into the blood stream. It is extremely helpful in the fight to lose weight. A variety of studies have been carried out with regards to vinegar and the drinking of it during or before a meal. In most cases is creates a state of satiety. Exact definition is a quality or state of being fed or gratified to or beyond capacity. Therefore allowing you not to be tempted into snacking. The reason for this feeling of fullness is that it contains pectin which has been associated with appetite suppressing. There are many other benefits but if only for the reasons above you should start incorporating it into your day. How to take Apple Cider Vinegar for a fatty liver? The taste is as you would expect, bitter. My personal preference is to add two teaspoons to a glass of water, a squirt of lemon and if the taste is to much you can always add a bit of honey. I take this three times a day before I eat. If your going to start taking vinegar start with smaller amounts and build up over a short period of time. There are a variety of ways to take apple cider vinegar before each meal, morning and before bed or as a salad dressing. However you choose to take it is up to you. From my research it is not advisable to exceed 2 tablespoons 30ml at any one time. As far as I can see there are no side effects except the possibility of damage to the teeth because of its acidity but taking it with water eliminates most of the risk. Hopefully you can see how apple cider vinegar can help with a fatty liver and why you should incorporate into your daily routine. 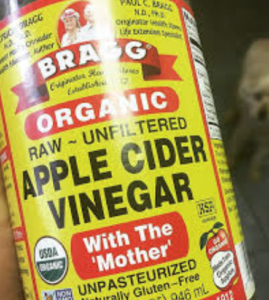 I forgot to mention that Braggs is one of the best makes but in truth any natural/organic apple cider vinegar will do. Make sure it is raw and unfiltered. It should look like muddy water with bits floating in it. This entry was posted in Liver Cleanse, Liver Disease Diet and tagged Apple Cider Vinegar fatty liver, Does Apple Cider Vinegar Help With A Fatty Liver, is Apple Cider Vinegar good for fatty liver on January 3, 2018 by .